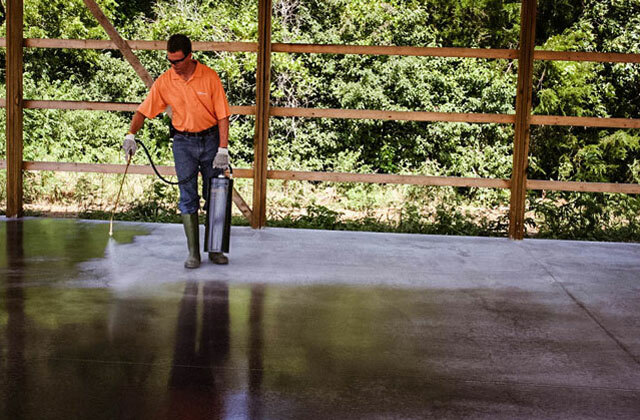 PROSOCO Saltguard® WB is a ready-to-use waterbased, VOC compliant silane/siloxane water repellent and “chloride screen” for the protection of concrete and masonry. Saltguard® WB penetrates more deeply than conventional water- or solvent-based water repellents. Low odor and alkaline stable, Saltguard® WB is ideal for field or in-plant application to concrete and most masonry. Protects horizontal and vertical surfaces from moisture intrusion and chemical attack of chloride salts. Reduces rebar corrosion and surface spalling caused by water-carried salts. Treated surfaces keep their natural breathing characteristics and appearance with no surface film once applied. Easy soap and water cleanup from window glass, window frames, and equipment.